On behalf of Friends of Ifield Brook Meadows, may I publicly express thanks to the Friends of Warnham Local Nature Reserve [LNR] for a memorable Bank Holiday Monday visit. Ifield Brook Meadows has recently been granted Local Green Space [LGS] protection by Crawley Borough Council. 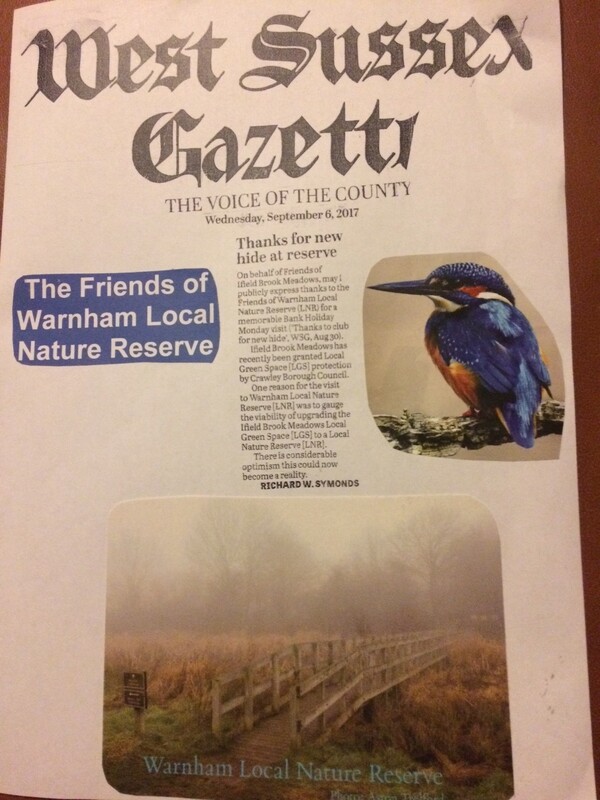 One reason for the visit to Warnham Local Nature Reserve [LNR] was to gauge the viability of upgrading the Ifield Brook Meadows Local Green Space [LGS] to a Local Nature Reserve [LNR]. There is considerable optimism this could now become a reality.